Australian boxers Shelley Watts and Daniel Lewis face the defeat on Friday, 12th August 2016 at Riocentro Arena in Rio de Janeiro, Brazil. The 2016 games are over for Australian boxers. Shelley Watts went into a split decision with Italian Irma Testa. Daniel Lewis lost by a unanimous decision to Bektemir Melikuziev from Uzbekistan. The Watts vs Testa lightweight bout saw the 2-1 split decision (39-37, 37-39, 39-37). While leaving the ring Watts reportedly denied to talk to media, except of saying that ‘the judges make the call and they did an amazing job’. Assistant coach Don Abnett described the outcome as a ‘hard pill to swallow’. Together with the coach Kevin Smith, they had expected an opposite verdict from the judges. “We looked at her [Imra Testa] at the European Championships and came up with a plan which we thought had paid off,” he concluded. Middleweight Lewis was defeated by the world’s N.2. Indeed, a clear decision 3-0 (30-27, 30-26, 30-27) went to Uzbek Bektemir Melikuziev. However Australian was enough content with his performance. “I know I didn’t get the decision, but I gave it everything,” Lewis said post-fight. In selection to this bout, last Tuesday Lewis earned a split decision over Poland’s Tomasz Jablonski. In conclusion Lewis outlined his Olympic journey as ‘it’s been amazing’. On August 6 Australian heavyweight Jason Whately faced a unanimous loss from local favorite Juan Nogueira. 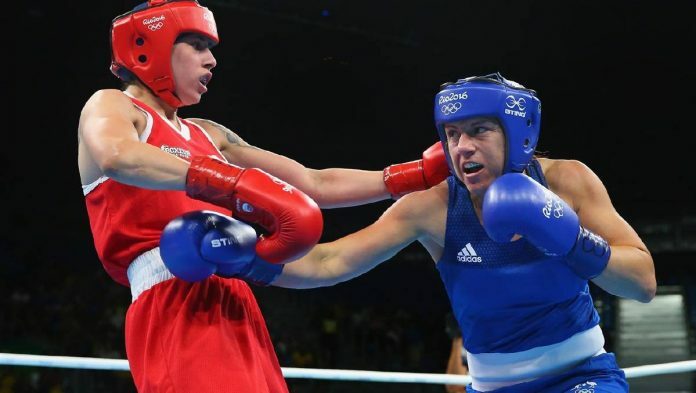 As an ultimate result Australian boxing team bows out of Summer Olympic Games Rio 2016 with no medals. Last time Australian boxers earned Olympic medal was 28 years ago. Grahame Cheney won a light welterweight silver medal at 1988 Games in Seoul, South Korea.